Mangrove forests are pivotal to keeping a coastline intact, reduce the impact of waves, protect against flooding and prevent coastal erosion. Moreover, they serve as the perfect nursery for numerous fish and shellfish species. Hence our interest and support in mangrove projects. In this project we support the renaturalization and reforestation of 100ha in the former saline fields of the Nicoya peninsula in Costa Rica. 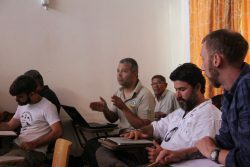 Several partners are actively involved in this project of the Pure Shrimp Initiative, including the German governmental organization for international cooperation, GIZ, and the Costa Rican conservation agency, SINAC. The latter acts as the supervisory body and will ensure that the forests are preserved beyond the duration of the project. 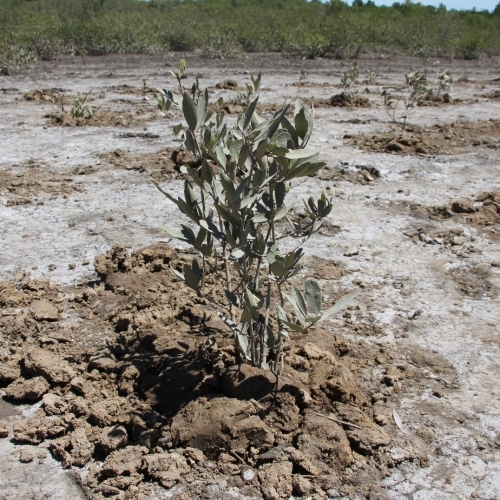 Once planted, the mangroves may never again be used for alternative purposes. 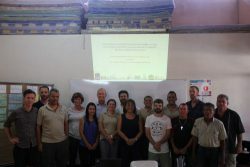 The environmental protection organizations (NGO’s) GCS, FUNDECODES and ASEPALECO are supporting the project with their expert know-how and educational programmes. The project is being funded by companies like Shore and German organic retailer Alnatura. Hopefully they will be joined by many more retail corporations in the near future. Additional project partners to support this project would be very welcome. The objective of this project is the gradual renaturalization and reforestation of 100ha of mangrove forest by 2025. The project covers a period of 10 years. Up to now 50ha have been restored. In 2015, German organic retailer Alnatura joined the project. Alnatura markets organic shrimp from Costa Rica under a project-related campaign: 15 cents from every pack sold are used to help funding this project. The funding needed over the next 10 years is estimated at US$ 600,000. This can only be achieved with the support of additional trade partners. 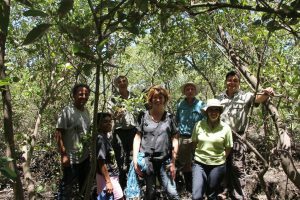 Shore and sustainability consultancy Bluesensus visited the area in March 2017 to evaluate the progress of the mangrove project, accompanied by SINAC, GCS, ASEPALECO and FUNDECODES. 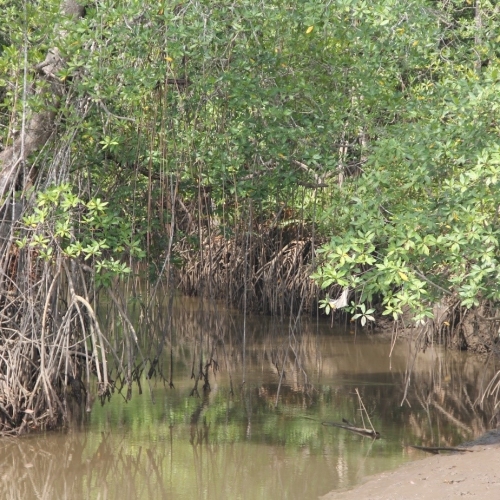 Mangrove restoration of up to 50 ha in the area of Terra Sierpe in Costa Rica. Under the supervision of the Costa Rican conservation agency SINAC and in collaboration with the local NGO Osa Conservation, up to 30ha of mangroves will be restored as part of the 3 year project for which Shore (via Ristic Gmbh) has been contracted by German retailer ALDI Süd. The area of Terra Sierpe at the Osa peninsula in Costa Rica. This project was kicked off in March 2017, during a visit of the area by Shore CSR Manager and sustainability consultancy Bluesensus and a two-day workshop with all local stakeholders involved, supported by GIZ. A rough timetable was set and responsibilities were identified and assigned. A suitable area will be defined. Local follow-up will be done by Shore’s Rainbow Export Processing. 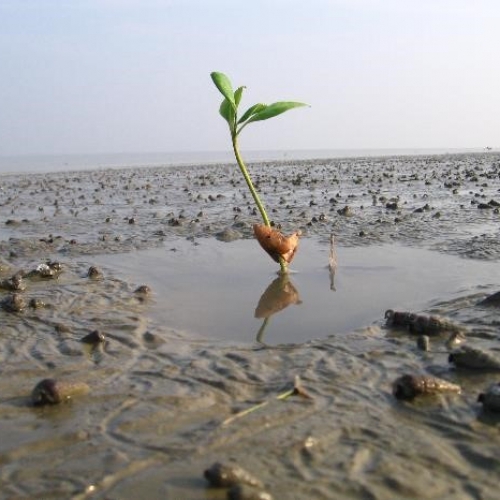 Mangrove restoration of up to 30ha in the Sundarbans area, a natural region in southern Bangladesh and the extreme southern part of the Indian state of West Bengal. 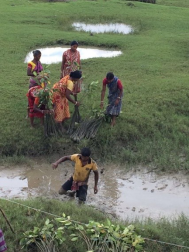 In 2016, 1ha of reforestation in the Sundarbans area was done as an initial step, funded by Ristic GmbH and German organic retailer Alnatura. In 2017, a further afforestation of up to 30ha will be initiated. 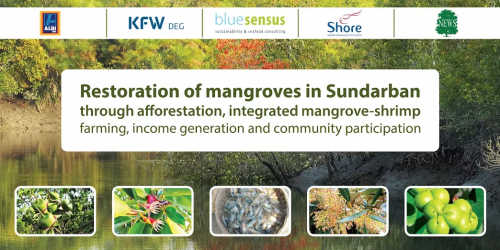 This is part of the 3 year ALDI Süd project, which also includes mangrove afforestation in Costa Rica, the initiation of a Fishery Improvement Program in India and social programs in India and Costa Rica. The NGO joining this project is Nature, Environment and Wildlife Society (NEWS). 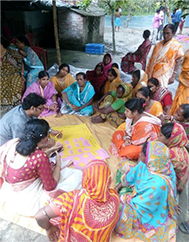 NEWS has been working with the local village communities in the Sundarbans for many years, above all with women at mangrove nurseries and in reforestation projects. 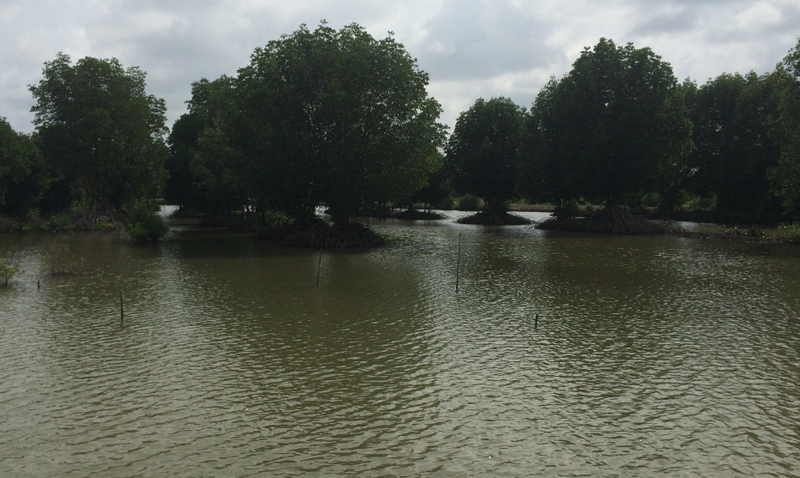 Apart from the mangrove restoration project, an integrated mangrove-shrimp farming demonstration project (up to 9ha farm area) as well as community work with the objective to improve income opportunities will be set up. The local team from the WBBT project (Blue Sea Aquaculture Pvt. 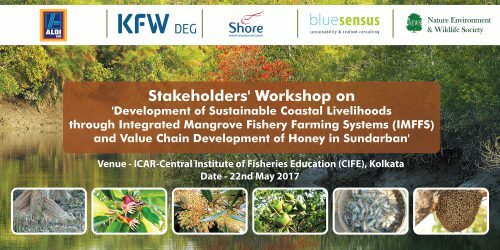 Ltd.) will support NEWS in the development of the pilot for the integrated mangrove-shrimp farming sub-project. Within this project, they will also develop the local market for the shrimp. General coordination of this project lies with sustainability consultancy Bluesensus, under the supervision of Shore. The world’s largest interconnected mangrove forest, Sundarbans, covers an area of 1 million ha south of the Himalayas at the delta of four rivers converging in Bangladesh and India. The Sundarbans National Park in the Indian state of West Bengal covers about 133,000 ha and has been a UNESCO protected site since 1987. The project kick-off is scheduled for May 2017. Sustainabiltiy consultancy Bluesensus, coordinating the project on behalf of Shore, will visit the area to define and finalize the project details with NEWS and other local stakeholders.